Parallel coordinates is frequently used to visualize multi-dimensional data. 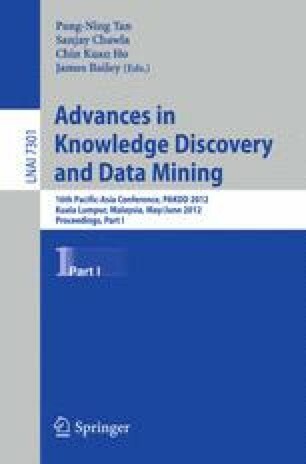 In this paper, we are interested in how to effectively visualize clusters of multi-dimensional data in parallel coordinates for the purpose of facilitating knowledge discovery. In particular, we would like to efficiently find a good order of coordinates for different emphases on visual knowledge discovery. To solve this problem, we link it to the metric-space Hamiltonian path problem by defining the cost between every pair of coordinates as the number of inter-cluster or intra-cluster crossings. This definition connects to various efficient solutions and leads to very fast algorithms. In addition, to better observe cluster interactions, we also propose to shape clusters smoothly by an energy reduction model which provides both macro and micro view of clusters.